To commemorate our 40th anniversary we decided to make a knife that is truly extraordinary, yet quintessentially Spyderco. We began with the Native 5—a highly evolved fi fth-generation version of our tried-and-true Native model. We then pushed the envelope of materials and craftsmanship with a blade made of DS93X Thor pattern martensitic Damascus steel from the Swedish fi rm Damasteel. 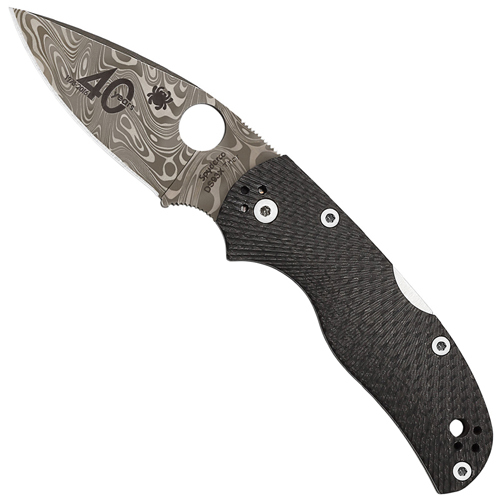 This extraordinary material is produced by Damasteel’s proprietary powder metallurgy process, which forge welds layers of RWL34 and PMC27 steels into a state-of the- art stainless Damascus steel with a intricate pattern. The blade is laser engraved with our 40th anniversary logo and paired with a stunning handle featuring CNC-machined, fl uted carbon fi ber scales. 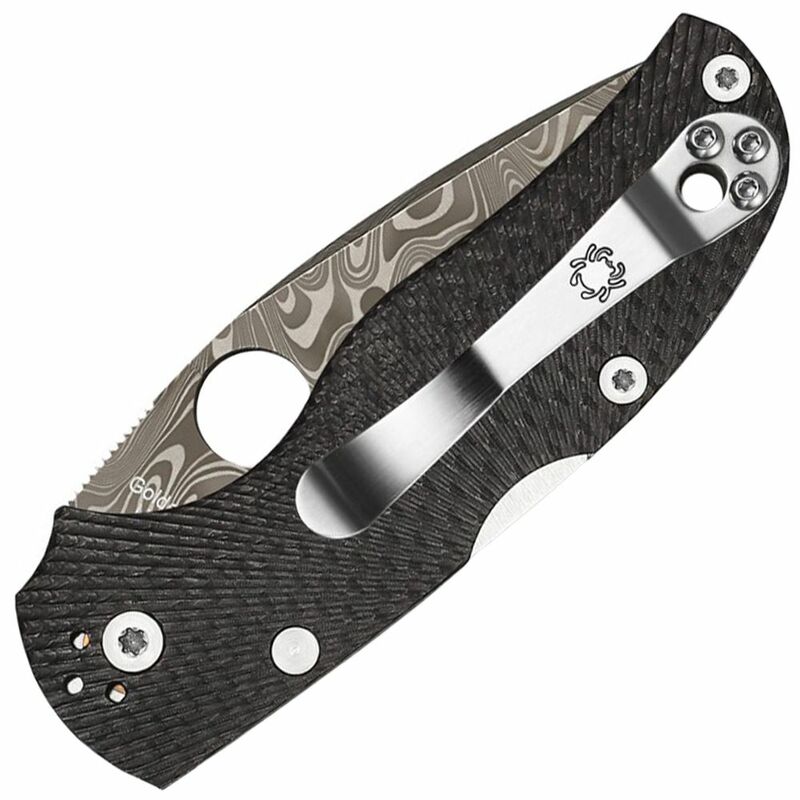 The Native 5’s signature four-position pocket clip provides convenient, versatile carry and pays homage to Spyderco’s pioneering role in creating the modern clip-carried folding knife. An extraordinary piece of Spyderco history. This remarkable knife will be produced as a Sprint Run in very limited quantities and is packaged in a padded zipper pouch.